Starting an online business can become a better experience than buying a franchise or opening up a storefront. Having a web shop gives you a chance to reach millions of customers all over the world and start international retail effortlessly. However, every experienced e-merchant should be aware of potential pitfalls that can be faced during running an online business. That’s why expert entrepreneurs share their thoughts and expertise warning newbies about common mistakes. Are you curious to know more about them? 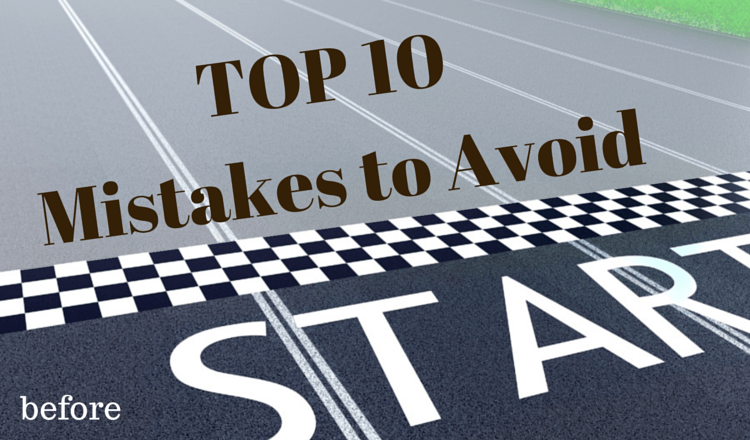 We have made a research and listed top ten mistakes in launching web store. There is no doubt that dozens of reasons can make you wait to start selling online. Maybe, you are making a video? Or there is not enough time to blog? Or you think that audience size is still to small? Stop searching for excuses! The sooner you open your e-store, the quicker you get a proper experience to become a pro on the e-Commerce market. When you start solving the problems that do not have any relation to your business, it becomes a real obstacle to develop and expand. Just concentrate on products and services that might bring bigger audience and profit. Listen to the clients and be attentive to their needs and desires. Look for the reasons why people do not want to purchase or use your services. The key point is to remember that “Customer is always right”. Give the customers a reason to choose exactly your store, your products and your services. It is not enough to discover what the competitors are offering, but try to be better improving the business and attracting the audience. You should keep clients interest with new content on the blog and exclusive products that customers are searching for. Not all of us have found the passion of the life. However, you should care about the chosen for business topic and have an eye for products provided in your e-shop. Otherwise, the competitors more fascinated by the goods they offer, can gain bigger market share and outrun you at ease. Building a successful online business takes time. Don’t ruckon upon minimum efforts to get an efficient online store very quickly. As Colin Powell once said: “A dream doesn't become reality through magic; it takes sweat, determination and hard work”. Be busy as a bee and you will get the result, otherwise, do not expect for success. No pain. no gain! Don’t give up after facing the first difficulty. Talk to experienced entrepreneurs as they already faced the same obstacles. Furthermore, reach out to another shop owner or two, and ask them to meet weekly. The simple process of sharing your struggles and goals is very powerful. Do not confuse those two words. You can post ideas, connect with people, and even grow audience. However, do not expect such a website to become an income stream. Read point # 1 once again. Consider all available options and solution to select the one, that will meet the needs of your business in its best way. It can be a difficult decision, because there are such differences in price, capabilities, and setup. And it’s a very important choice, as the wrong shopping cart can seriously cut into your sales. The last point is very important for the e-store to become a source of revenue. If you feel uncertain about suitability of the existing platform to your business, check the list of supported shopping carts by Cart2Cart. The service offers an easy data transfer from one solution to another in a quick and effortless way. So, give your e-store a second wind and register a Cart2Cart account right away.